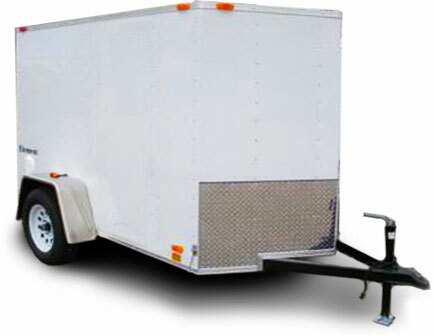 trailers starting at only $1495. backed by a Nationwide warranty. trailer are you'll never be stranded. These trailers may be priced cheap, but they are built to last. They include an EZ-ride suspension, all steel frame, automotive grade paint and a V-Nose. Call 1-877-258-1445 to order your cargo trailer.